Tickford Racing boss Tim Edwards says his team was simply a victim of circumstances when Chaz Mostert double-stacked behind Mark Winterbottom in the Townsville opener. Mostert lost almost 10 seconds when he arrived for his second pitstop on lap 42, only to find Winterbottom already taking service. Winterbottom went on to take sixth and Mostert 13th, seven seconds behind the Bottle-O entry following a subsequent Safety Car period. “It was pretty straight forward,” Edwards told Supercars.com. “Frosty (Winterbottom) had a tyre issue so he dived into the pitlane unannounced and we were set up waiting for Chaz. “By the time Frosty said ‘I’m in the pits’ and we digested ‘was that Frosty?’, Adam [De Borre, Mostert's engineer] looked at the screen and Chaz was already committed and in pitlane. While Winterbottom spoke to television cameras immediately post-race, Mostert and De Borre went straight into a debrief. 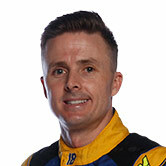 “I haven’t even seen Chaz, but I’d suggest he’s pretty pissed off about the pitstop,” noted Edwards. “Frosty is full of remorse, but it’s not his fault. He did the right thing. 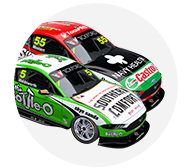 Mostert had earlier qualified just 17th – the last of the five Tickford Falcons in the field, including Will Davison’s Milwaukee Racing entry. It equalled the Supercheap Ford’s worst starting position of the season, which he’d also recorded on the Saturday at Symmons Plains and Hidden Valley. 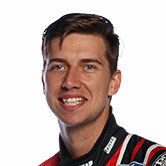 “It’s just a sign of the times,” said Edwards of Mostert’s poor qualifying today. “We’re being aggressive with things we’re trying on the car and we’re airing dirty laundry testing things in public, because that’s the only way you can do it. “But him and Adam believe they’re heading in the right direction and if you look at his race-pace for the middle third of the race he was the fastest car for most of that middle stint.